At the start of the term the teachers for Team Maunga had a breakout planned, but we had to wait for a few technical things to be resolved so we could access all the links for this breakout. Finally we were able to have a go at it. The kids loved it, and learn't more about how to work together and how to help each other with clues so they could break in to the box quicker. This lead to some fantastic re-crafting to need, writing and discussions about what the breakout was for and why this is important. Hopefully we will be able to share these on this blog in the next few days as well. Below is a link to the movie we create to help the children to remember what they did (rewindable learning), and help them see ways to improve for next time. 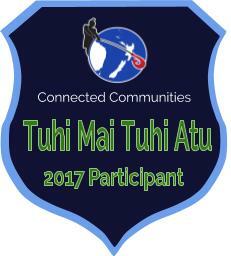 It is also great for sharing how our Tamariki learning together. Looking at this again we can see how our Kaikohekohe Education Network mission statement, "Learning together is empowering", is so important right from the early years of school. We hope you enjoy! Wow - this looks like so much fun - you had to look for clues, a bit like a treasure hunt. What was in the box?